Bright colors and beautiful, though kind of scratchy and definitely sheds. But the shedding only comes into my vacuum, so far not into the floor. I recommend! Love this rug. It’s sturdy and cheerful. Makes the room feel happy and cozy. Color! Color! Color! And the price was right, too. 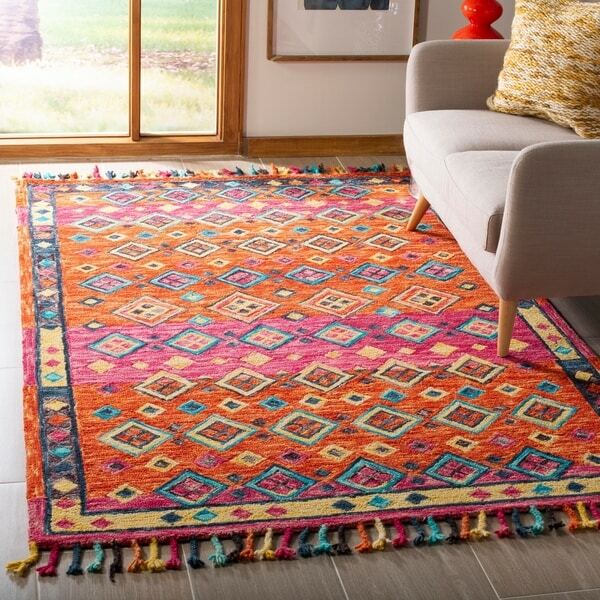 "The description in the title says;Handmade Aspen Orange/ Fuchsia Wool Rug (5' x 8')The description in the details says “ blue, red, yellow” wHAT COLOR IS THE RUG ?Please thank you"
The rug is as pictured; it has shades of orange, fuchsia, blue, yellow and red throughout. Please note that some colors may vary due to dye lot variation from production. 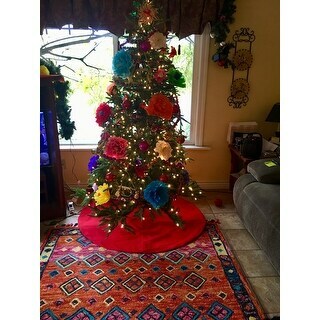 This rug has a pile height of 0.25 inches.